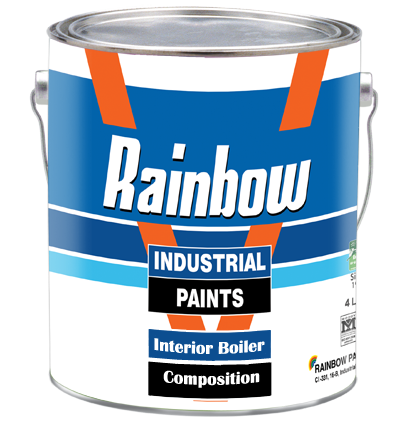 Rainbow interior boiler composition is developed for all interior boiler drums, pipes and steam turbine casings. Covering: 8-10 Sq. Meter / Ltr. Film Tickness: 25-30 Micron per coat. Drying Time: S.D 3-4 Hours. Pack: 3.64 & 14.56 Liters. Surface Preparation: Remove all base mills scale & rust by mechanical tools or wire brushing.